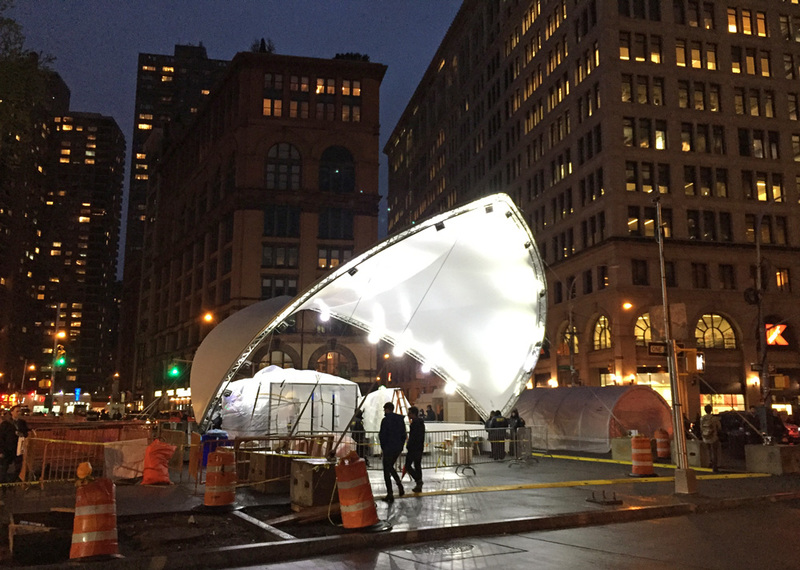 Work Begins at Astor Place and the Cube Will Soon Return From… Jersey!? Hard to believe, but it’s now been over a year since our beloved Astor Place cube was boxed up and unceremoniously hoisted onto a flatbed and hauled off. We were briefly consoled by a human cube on Halloween, but mostly there’s been a hole in our heart — or, at Astor Place, anyway — where the cube used to be. This week, however, excavation of the future Astor Plaza finally commenced, and the city tells us the reconstruction should be completed by spring.